For as little as $2.50 with a student ID, or $5 without one, you can watch award-winning independent films at Thursday at the Theatre in Yuma’s Historic Theatre on Main Street. The series, now in its 15th year, is brought to you by the Arizona Western College Foundation and sponsored by KAWC Colorado River Public Media, the AWC-NAU Academic Library and the Yuma Arts Center. The evening event begins at 7 p.m. on the first Thursday of each month – with the exception of August, when it falls in the third week. The doors open at 6:30 p.m. so that viewers will have time to purchase $2 bags of popcorn and $2 sodas and find a good seat. Before the feature film, AWC Professor Michael Miller gives an introduction and any disclaimers, and an award-winning short film is shown. After both films, interested viewers are welcome to stay and join Professor Miller’s film class to discuss and critique the films. Synopsis: Maysaloun Hamoud’s remarkable debut feature In Between follows three strong and independent-minded Palestinian women who share an apartment in Tel Aviv. Away from the constraints of their families and tradition, they find themselves “in between” the free and unfettered lives they are aspiring to lead and the restrictions still imposed on them by society. Laila, a successful lawyer, craves the love of a good man and thinks she’s found him in the apparently open-minded and handsome Ziad. Salma, while striving to fulfill her dream of becoming a deejay, falls for a beautiful doctor but is forced to keep their love a secret from her family. Laila and Salma’s hard-partying lifestyle initially comes as a shock to the more traditional and reserved Nour. She is engaged to marry a seemingly devout Muslim, who, behind closed doors, is not the man he appears to be. Eventually, a shocking series of events will push these brave women to the limits and change their lives forever, while also sealing their bond of friendship. 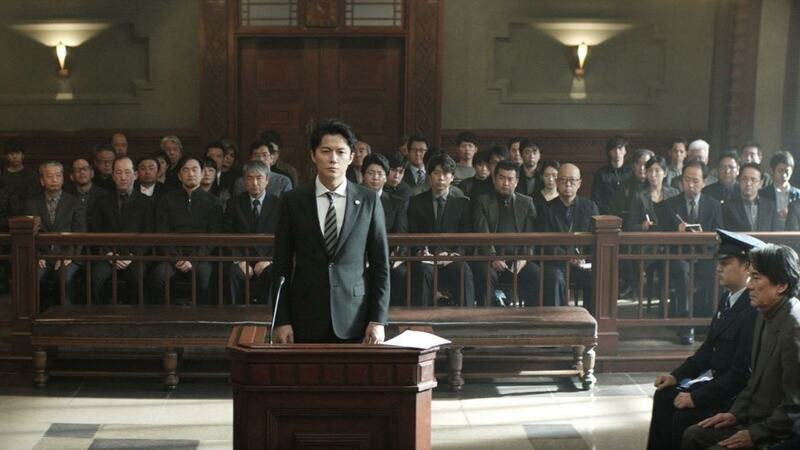 Synopsis: Leading attorney Shigemori takes on the defense of murder-robbery suspect Misumi who served jail time for another murder 30 years ago. Shigemori’s chances of winning the case seem low; his client freely admits his guilt, despite facing the death penalty if he is convicted. As he digs deeper into the case, as he hears the testimonies of the victim’s family and Misumi himself, the once confident Shigemori begins to doubt whether his client is the murderer after all. Synopsis: In the wake of the Chernobyl nuclear disaster, Malin, a Russian literature professor at the University of Havana, is sent to translate between Cuban doctors and children sent from the U.S.S.R. for medical treatment. Torn from the abstract world of academia and forced into the relentlessly real world of medicine, Malin becomes increasingly depressed. When he meets a child who tells him a story, Malin connects with the kids and finds his way through. Just as he adapts to his new job, the Berlin Wall falls, and Cuba enters the deepest economic crisis the island has ever known. But Malin is now so entrenched in the lives of the Chernobyl Children that he doesn’t notice his young family suffering. He must find his way back to his wife and child through the lessons he learns at the hospital – and become a better person along the way. Synopsis: At the beginning of the 20th century, Egon Schiele is one of the most provocative artists in Vienna. His life and work are driven by beautiful women and an era that is coming to an end. Two women will have a lasting impact on him – his sister and first muse Gerti, and 17-year-old Wally, arguably Schiele’s one true love, immortalized in his famous painting Death and the Maiden. Schiele’s radical paintings scandalize Viennese society while daring artists like Gustav Klimt and art agents alike are sensing the exceptional. But Egon Schiele is also prepared to go beyond his own pain and to sacrifice love and life for his art. Synopsis: Twelve-year-old Pedro roams the streets with his friends, raised by the violent urban atmosphere around him in a working-class district of Caracas. After Pedro seriously injures another boy in a rough game of play, single father Andrés decides they must flee to hide. Andrés will realize he is a father incapable of controlling his own teenage son, but their situation will bring them closer than they have ever been.